Held in 2001, the ‘Blue Moon’ festival grew out of an idea by Toyo Ito to erect housing at five ‘hidden’ locations in the city core. 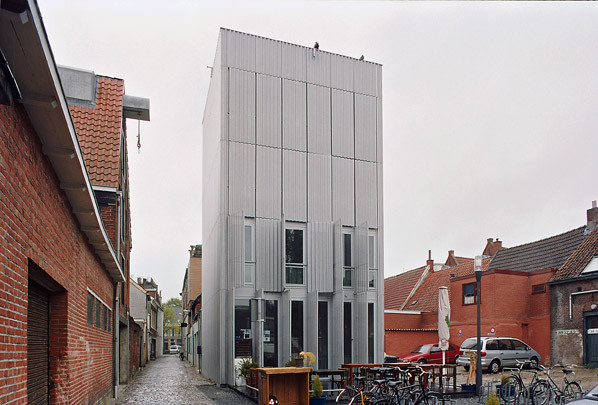 Foreign Office Architects designed a tall narrow block clad with panels of corrugated sheet that can be opened. The other realized projects were by Toyo Ito, Space Group and Tony Fretton. The project of the fifth architect Xaveer De Geyter was temporary.